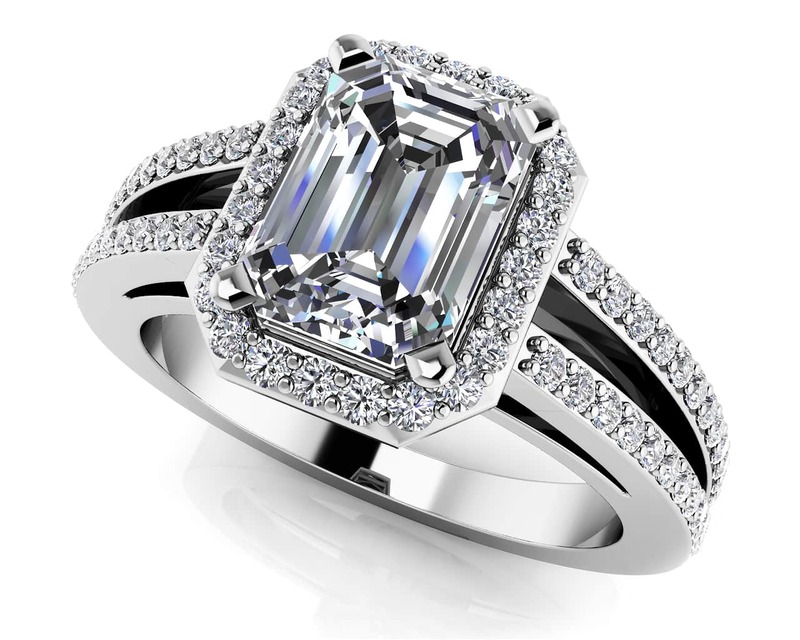 A diamond engagement ring that reflects your passion for each other. 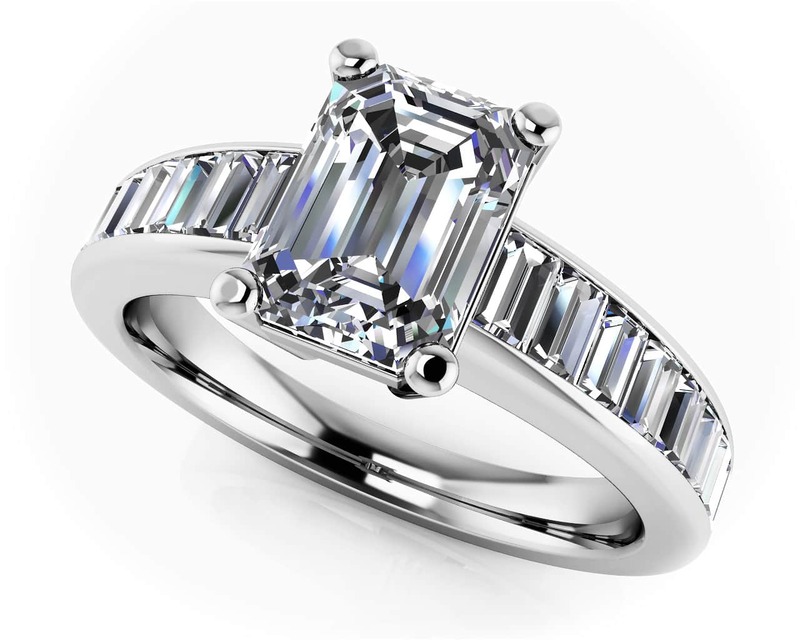 The exquisite emerald cut center diamond fringed by dazzling baguette side diamonds is a modern reflection of your timeless love. 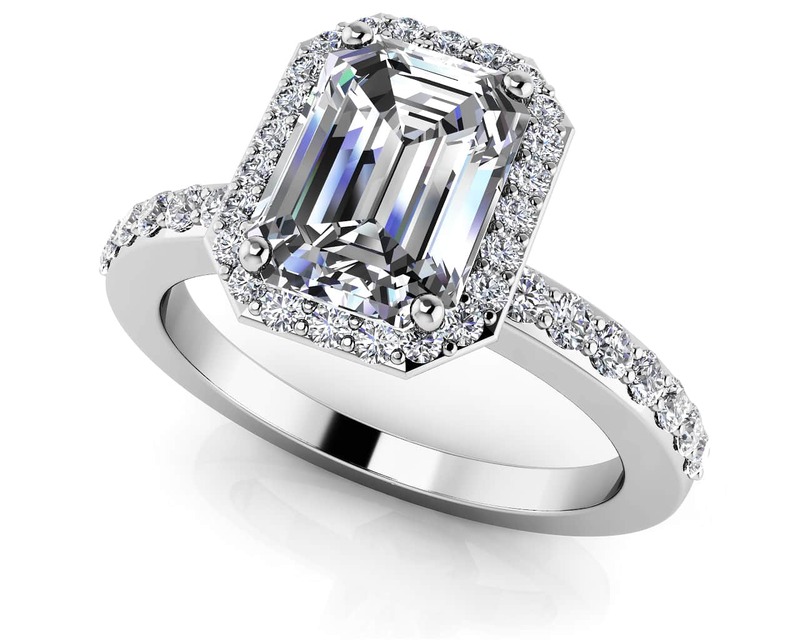 Stone Carat Weight: 6X.040 ct., 4X.040 ct., 4X.050 ct., 4X.055 ct.